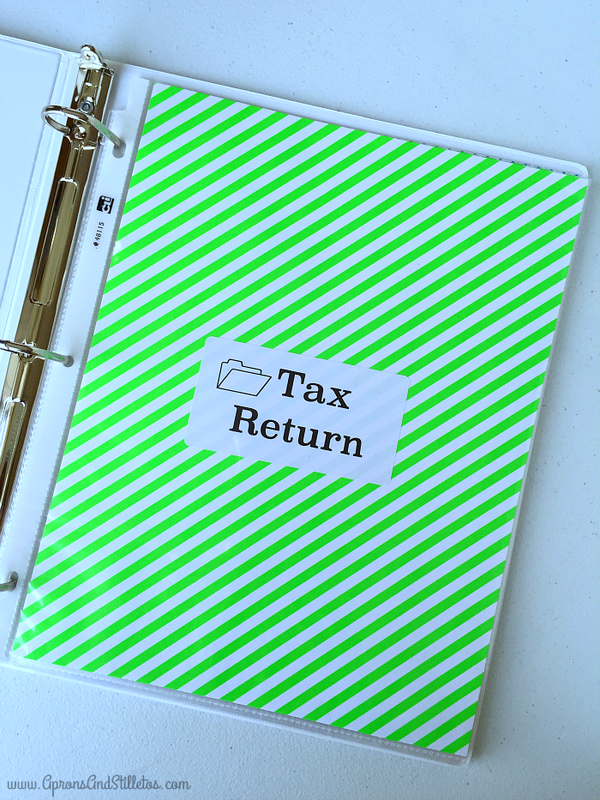 Today’s Income Tax Return Binder Filing System tutorial is a sponsored post. All opinions are mine alone. My husband has run his own courier business going on 13 years and somewhere along the way, I became his unofficial office manager. 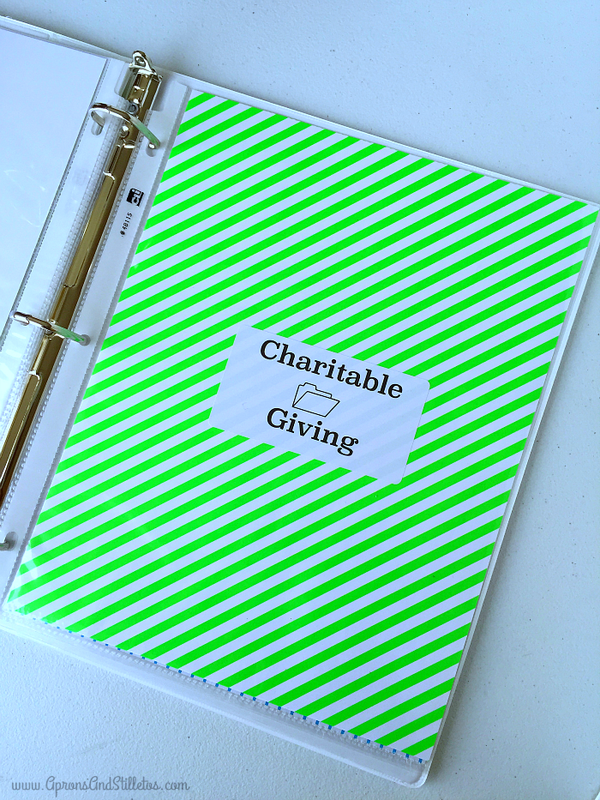 I create documents that allow him to be more efficient and systems to keep the paper work organized. 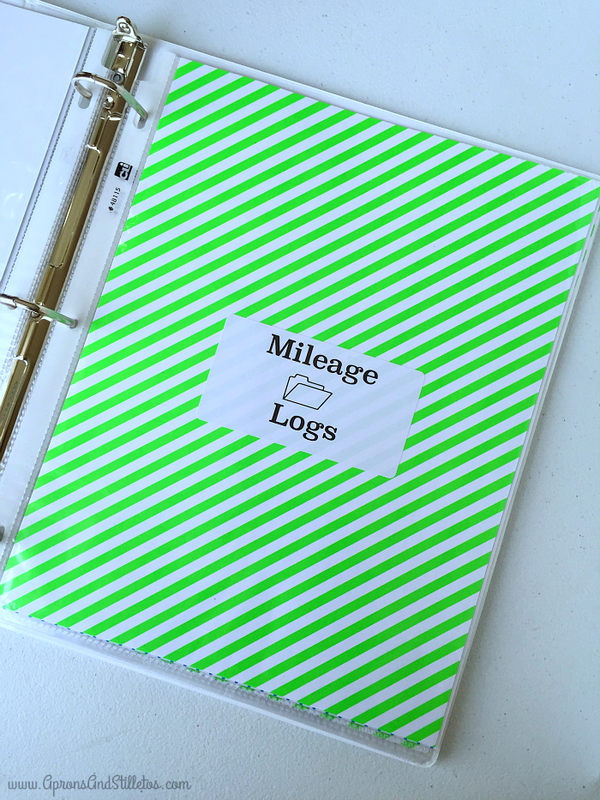 In his line of work, we have to track air bills, create shipping labels, mileage logs and a slew of other documents to keep up with on a day-to-day basis. 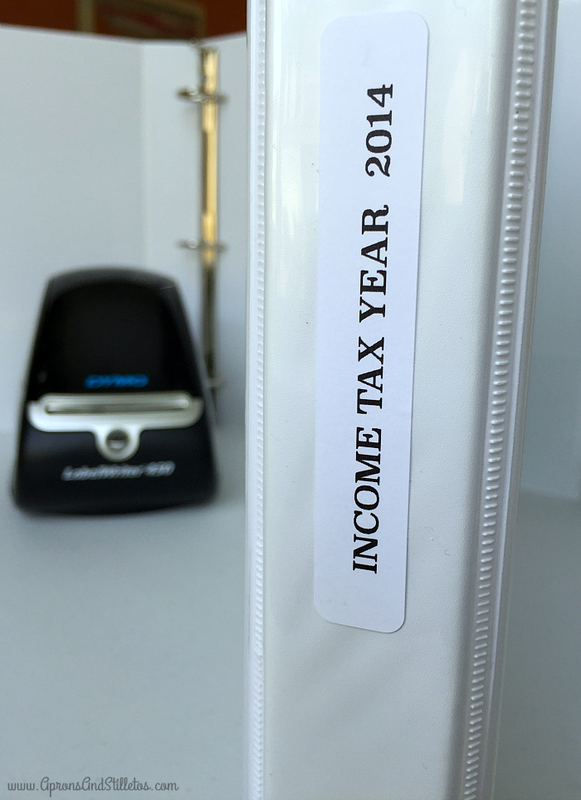 On a year-to-year basis, there are income tax returns to manage. 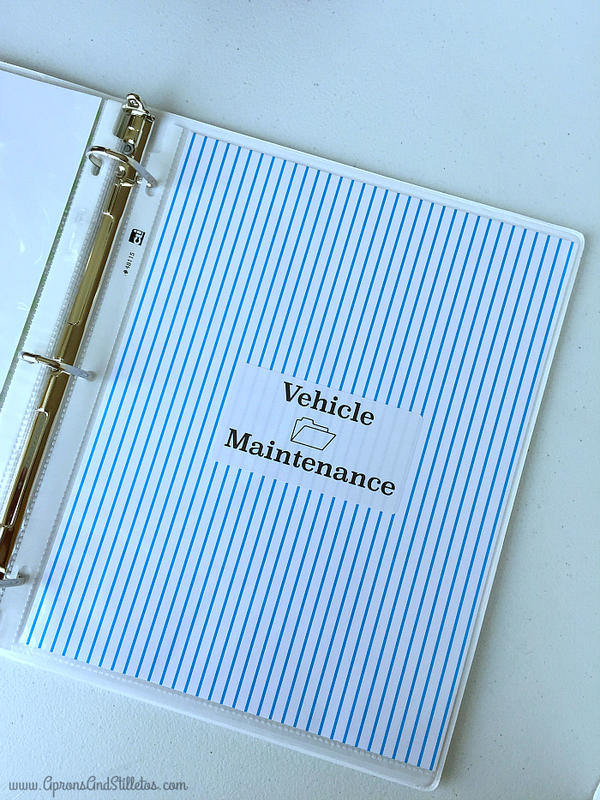 Although we already had things neatly filed, I decided to go a little farther create a binder system. In to create our tax return binder system I used the following supplies. 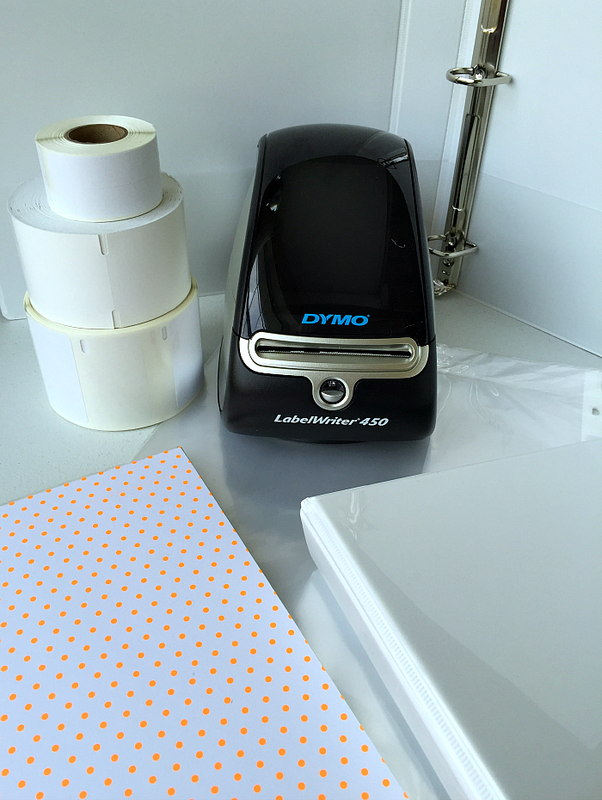 …and my DYMO LabelWriter® 450. I love having this little label maker on my desk for projects like this. 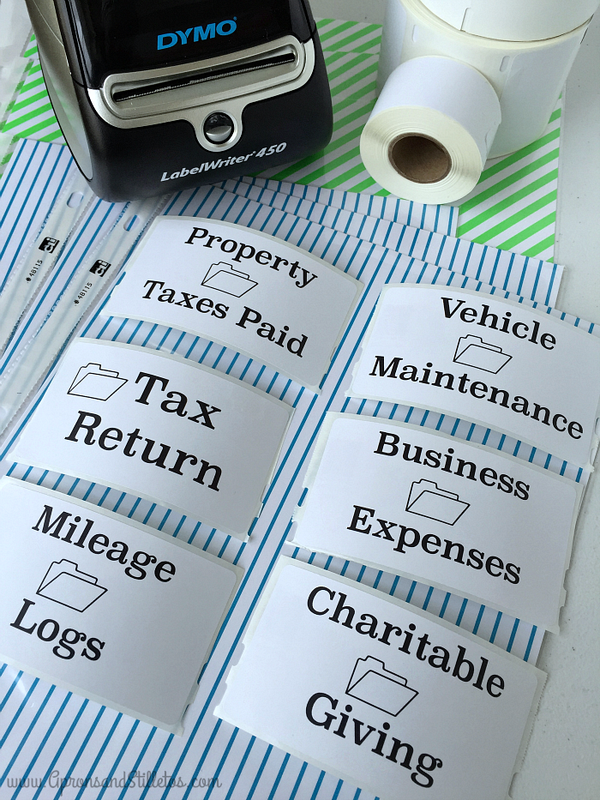 The DYMO has 4 different LabelWriter® Labels sizes that are perfect for a small office or business. 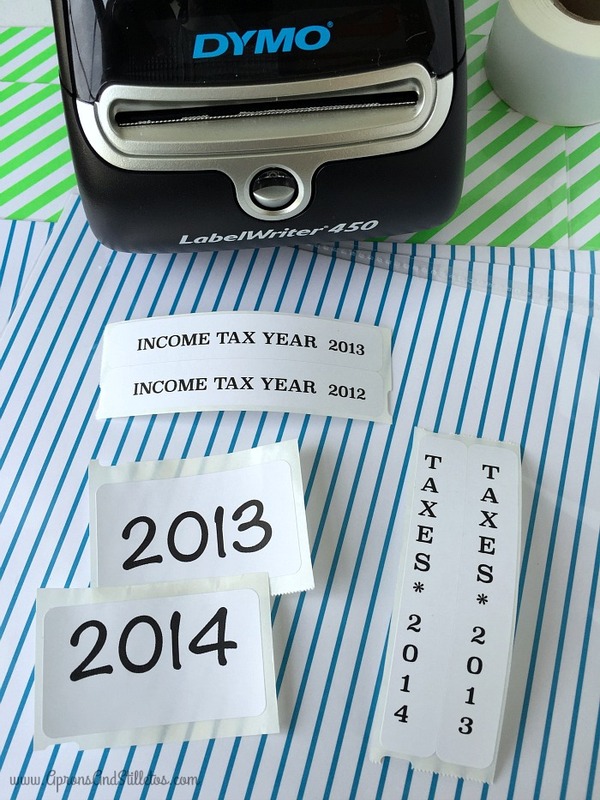 The label maker prints thermally so it never has to be refilled with toner. print labels like the ones I’ll show you today. First, I did a test run to see which printing layout I would use. There are over 60 to choose from and I ended up choosing one style for the binder spine and one for the binder dividers. 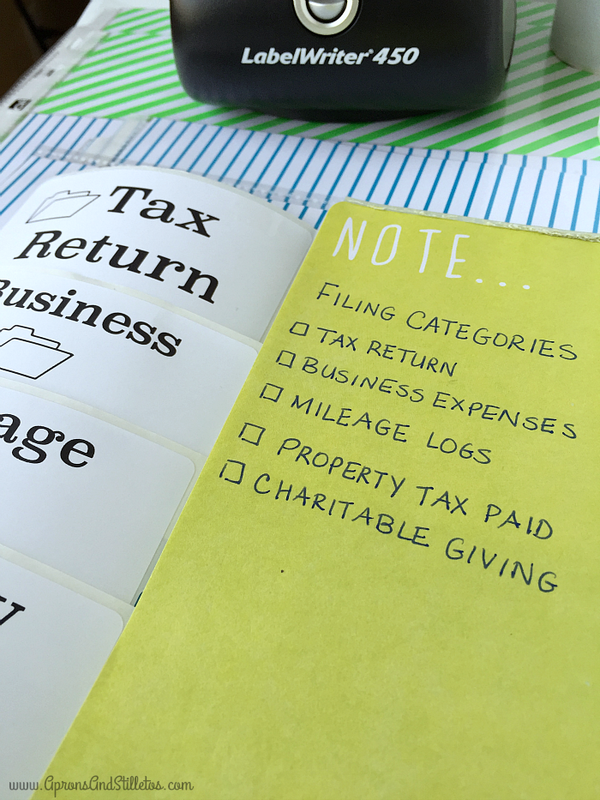 I broke the returns down into categories based on the types of documents we supplied when filing our return. All of my labels were printed in about 10 minutes, right at my desk. I love not having to figure out where on a sheet label I need to position the next print. The DYMO lets me print each label, one by one as needed. Once the labels for the spine and dividers were printed I attached them. Once the labels were attached, I placed all of my tax return paperwork inside. To file the documents in each section, I either whole punched them or placed them in a page protector. 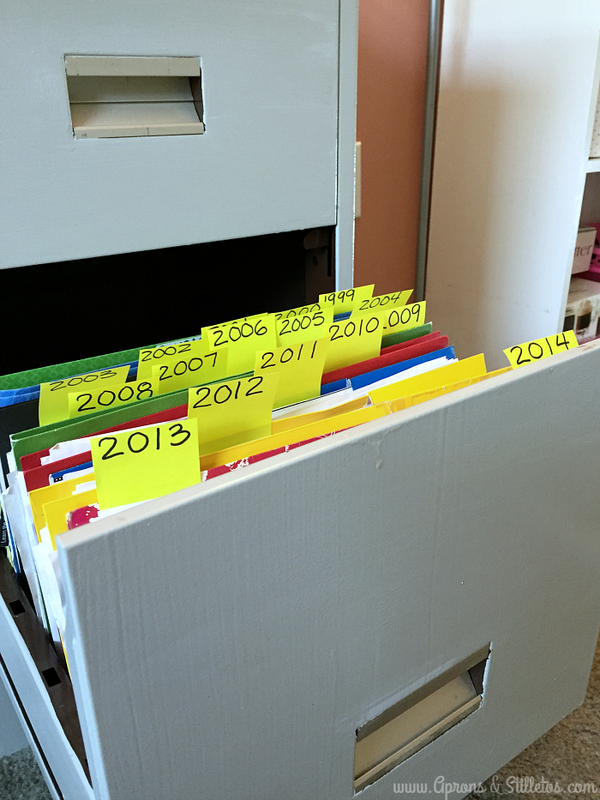 Our previous filing system was functional, but not cohesive. 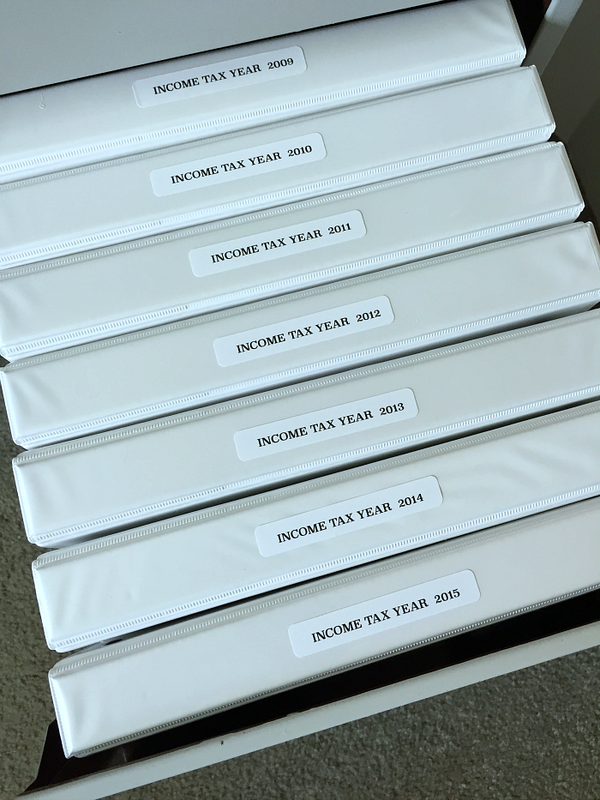 I really like the neatness and cohesiveness of our new tax return binder system. 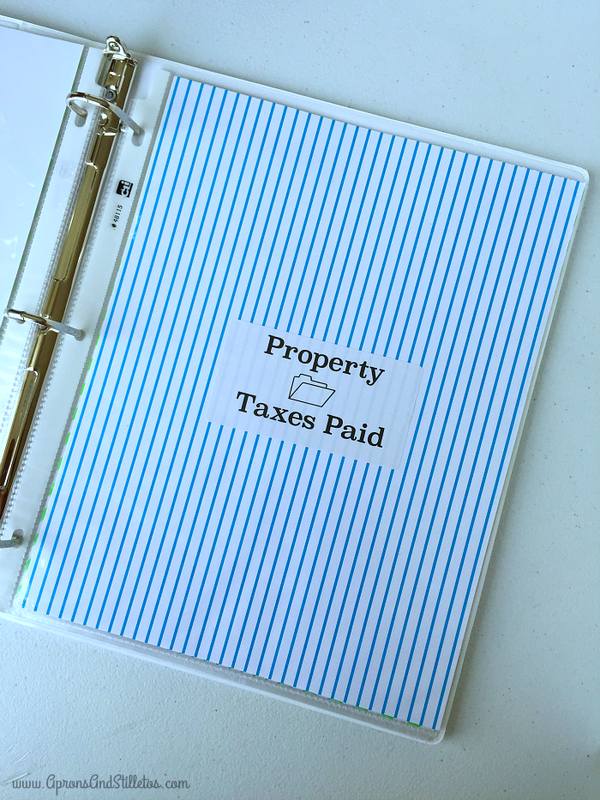 Everything is filed and I’ve already created a binder for our next years income tax return. I hope you got some good ideas from my tutorial. Organizing really gets me excited! This is inspiring. Wow. You are so neat and organized! I have to start working on the drawers in our desk at home. I tend to stuff like-documents in brown paper envelopes which works fine with me – until that time that I have to retrieve a document and I can't find it! I will do as you did, and get myself a dymo labeler! OMG! That's awesome! 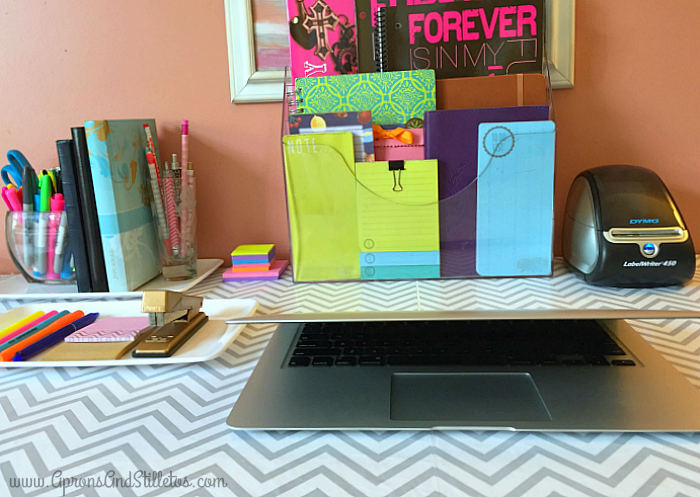 I have a really organized life, but don't ask me about anything that concerns my income taxes…. A total mess!!! I'll try to apply this, thanks! 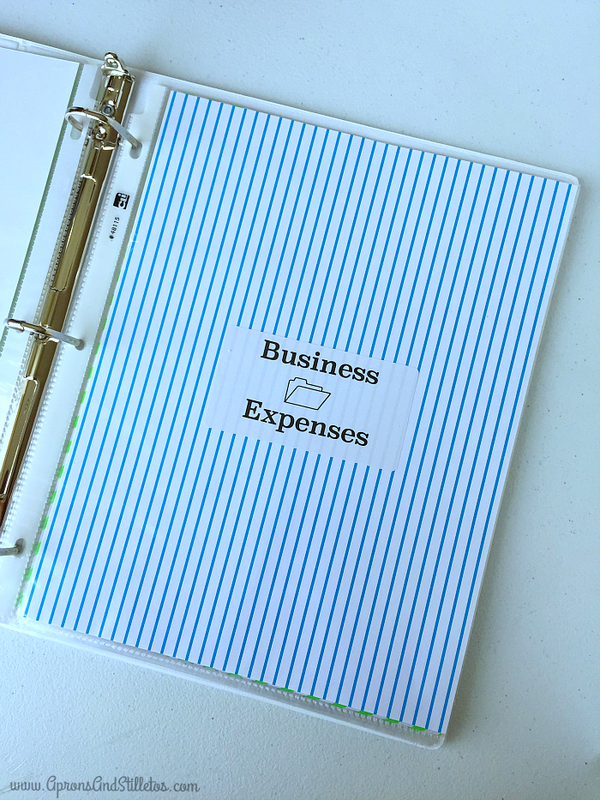 Great job of organizing your taxes, very professional looking. Saving this for tax time! This is such a helpful post. Most of us search fro papers at the time of filing taxes. This way they stay organized forever. Thanks for these tips. As a bookkeeper I can definitely appreciate how neat you keep all your records. That is a marvelous system you have in place and I know your accountant or tax preparer will love you for it. Wow, everything is so organized. I want that labeler, too. I was just telling my husband that I need to do this because I have folders in a box for each tax year. This is such a neat and organized system. You can't get more neat and tidy than that. I won't even talk about my mess over here, but I need that labeler for sure!